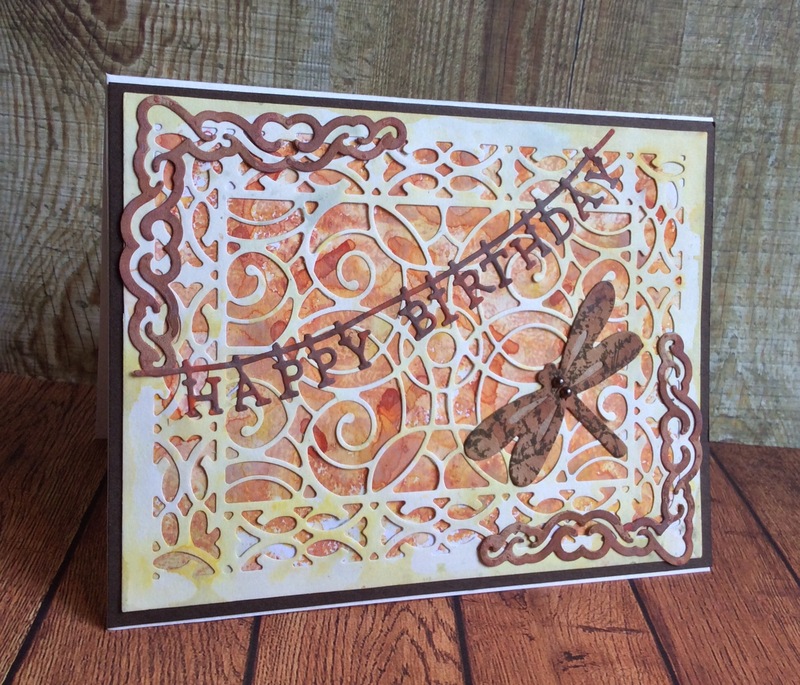 I found a nice piece of card that I had used the Distress Oxide inks on and it looked lovely behind this lattice die cut from my stash, so I tipped the latter into some ink to grunge it up and added the Tattered Lace birthday banner die and a dragonfly that was from an XCut range, along with the corner die cuts. All backed into brown card. Gorgeous card, Denise. Love that lattice work. Hope all is well with you and that you’re enjoying some fine autumn weather up your way.